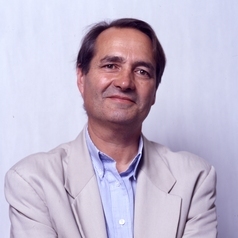 Jean-Marie Charon is a sociologist focused on information and the media. He studies the print press, online press, journalism and journalism ethics. He has written a number of books, including "La presse d'information multisupports" in 2016, "Les médias en France", in 2014, "La presse en ligne" in 2011 and "Les journalistes et leur public : le grand malentendu". He teaches at l'IEP in Rennes, at the Université Paul Verlaine in Metz, and at l'EHESS in Paris.